Reverend Wayne Carter died Wednesday, September 19, 2018. Wayne was a native of Paducah and served the spiritual needs of many churches in our area for 46 years. He faithfully served as the Chaplain of the McCracken County Sheriff's Department for over 12 years. Harold Thomas "Teto" Clark, 72, of Paducah, Kentucky passed away at 3:30 p.m. Sunday, April 16, 2017 at his residence. He was a native of Paducah, Kentucky. Teto served various duties for the McCracken County Sheriff's Department including leading the circle morning prayer before each day began. 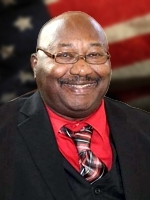 He served as Chief of the Paducah City Police Department Auxiallary. 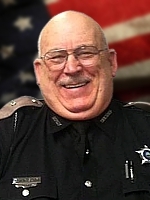 Teto was a member of Lone Oak First Baptist Church where he served as Security Officer. He was a member of the Teamster Union and the Fraternal Order of Police and served in the United States Navy. Jay G. Miller, 47 of Boaz, KY died at 9:10 a.m. Saturday, March 26, 2016 at his home. 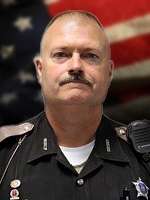 Jay was a member of St. John Catholic Church and was a former Deputy Sheriff for McCracken County. Jay was a graduate of Lone Oak High School and a member of Fraternal Order of Police. Jay loved the outdoors and enjoyed hunting, fishing, water sports and had a keen interest in demolition derby. Mr. George Wendell Taylor, age 54 of Mayfield, KY died Friday, March 21, 2014 at Baptist Hospital of Paducah in Paducah, KY. He was a Member & Deacon at Fairview Baptist Church, and was retired from the McCracken County Sheriff's Office. Deputy Sheriff Chad Shaw suffered a fatal heart attack following an arrest earlier in the day. Deputy Shaw had responded to an automobile accident, where he discovered one of the drivers had an active warrant. He was able to place the driver into custody and complete the arrest. He collapsed a short time later while assisting with security at a meet-and-greet at the Community Christian Academy. He was transported to a local hospital where he passed away a short time later. 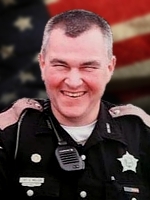 Deputy Shaw was a U.S. Army veteran and had served with the McCracken County Sheriff's Office for 12 years. He is survived by his wife and two daughters. Howard was a member of Broadway Church of Christ of Paducah. He retired from the Governors office of Local Development as a Field Representative. 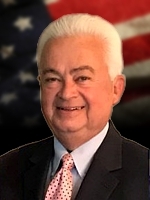 He was a 32nd degree Mason and a member of Paducah Lodge #127, a Kentucky Colonel, a member of the Paducah Fraternal Order of Police, and a 44 year member of Plumbers & Steamfitters Local 184 in Paducah. He served six years in the Army National Guard. 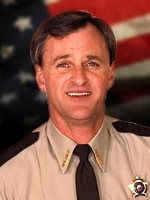 He also served 12 years as McCracken County Sheriff from 1982-1994. He was a recipient of the 2009 Lewis Hicks Life Time Achievement Award and the 2010 W.C. Young Award.